What does your waistline say about your health? Why is belly fat more common after menopause? Does it pose a dangerous health risk? As you get older, you might notice that maintaining your usual weight becomes more difficult. Many women gain weight around the menopause transition. Research shows that belly fat also carries serious health risks. The hormonal changes of menopause might make you more likely to gain weight around your abdomen than around your hips and thighs. But hormonal changes alone don't necessarily cause menopause weight gain. Instead, the weight gain is usually related to aging, as well as lifestyle and genetic factors. Belly fat Subcutaneous fat is the belly fat you can feel if you pinch excess skin and tissue around your middle. 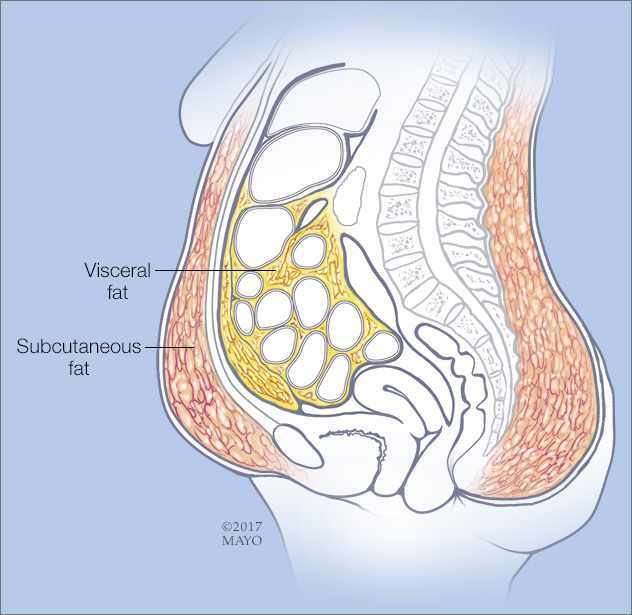 Visceral fat is belly fat that accumulates in your abdomen in the spaces between your organs. Too much visceral fat is strongly linked with a greater risk of serious health problems. 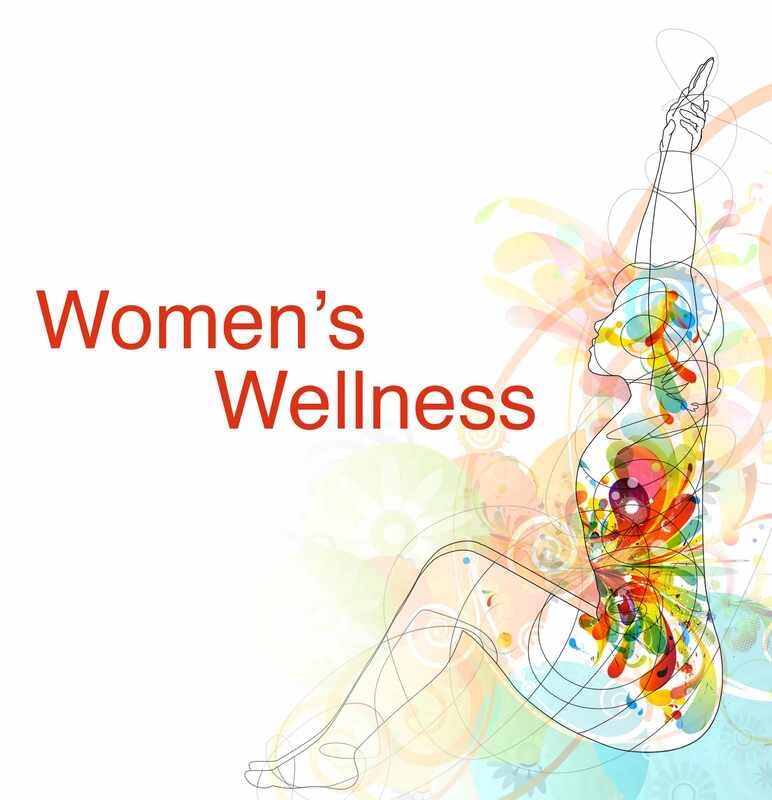 Other factors, such as a lack of exercise, unhealthy eating and a lack of sleep, might contribute to menopause weight gain. When people don't get enough sleep, they tend to snack more and consume more calories. Your weight is largely determined by how you balance the calories you eat with the energy you burn. If you eat too much and exercise too little, you're likely to carry excess weight, including belly fat. Many women also notice an increase in belly fat as they get older, likely due to a decreasing estrogen level. Estrogen appears to influence where fat is distributed in the body. The tendency to gain or carry weight around the waist — and have an apple rather than a pear shape — might have a genetic component, as well. Why is belly fat more than skin deep? The trouble with belly fat is that it's not limited to the extra layer of padding just below the skin (subcutaneous fat). It also includes visceral fat, which lies deep inside your abdomen, surrounding your internal organs. Research also has associated belly fat with an increased risk of premature death — regardless of overall weight. 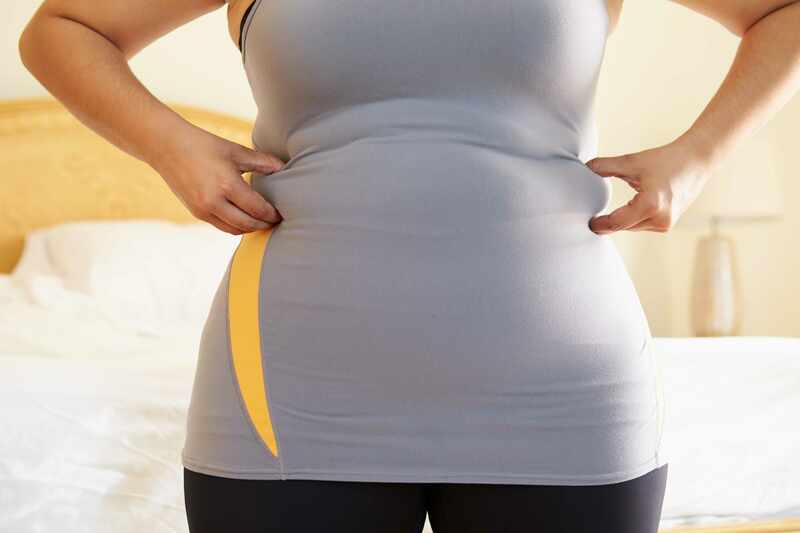 Some studies have found that, even when women were considered a normal weight based on standard body mass index, measurements, a large waistline increased the risk of dying of cardiovascular disease.